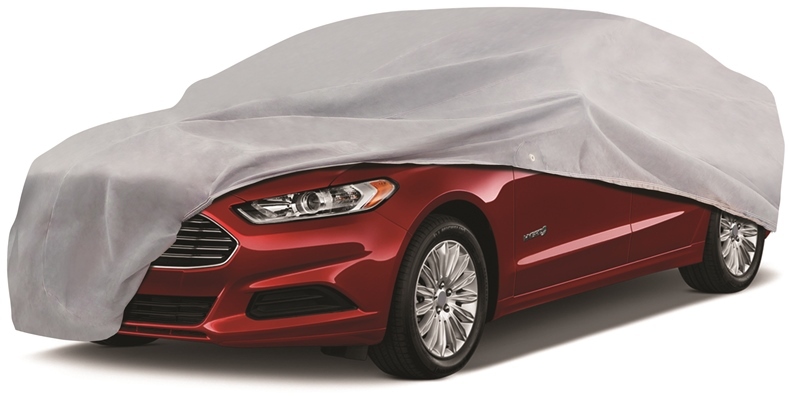 Elite Shield Economy Car Covers: single layer car cover designed for good basic protection against the elements. Good for indoor use, light weight, and protects your vehicle against dust and debris. UV treated to protect your paint from fading and breathable to allow moisture to evaporate, avoid mildew and mold. Economical option, heat and sun protection, Water resistant Double stitched seams for durability. Soft, abrasion resistant polypropylene fabric. Front and rear elastic hems for a snug fit, Built in tie down grommets for secure tie down, Storage bag & antenna patch for non retractable antenna's Included, 1 Year Elite Factory Warranty.